يشكل فندق Astelia Apartment Hotel بموقعه الممتاز في قلب هذه المنطقة الرائعة كنقطة انطلاق ممتازة لاستكشاف المدينة. يقع مركز المدينة على بعد فقط. ويمكن الوصول إلى المطار خلال دقيقة. يقع هذا الفندق الحديث على مسافة قريبة من المعالم السياحية الشهيرة. استمتع بالخدمات الراقية والضيافة التي لا مثيل لها بهذا الفندق في هذه المدينة رائعة الجمال. يمكن الاستمتاع بمجموعة من الخدمات على أعلى المستويات في الفندق كمثل مرافق مخصصة لذوي الاحتياجات الخاصة, تسجيل وصول/خروج سريع, تخزين الأمتعة, واي فاي في المناطق العامة, صف السيارات. بالإضافة لهذا، تتضمن كل غرف الضيوف مجموعة واسعة من وسائل الراحة . بعض الغرف توفر حتى تلفزيون بشاشة مسطحة, اتصال لاسلكي بالإنترنت, غرف لغير المدخنين, تدفئة, ساعة منبه لإرضاء أكثر الضيوف تطلبًا. كما أن مجموعة الخدمات الواسعة الموجودة في الفندق لضمان راحتك تترك لك الكثير من الخيارات لقضاء وقتك أثناء فترة إقامتك. مهما كانت أسبابك لزيارة المدينة، فإن Astelia Apartment Hotel هو الخيار الأفضل لإقامة مثيرة وممتعة. excellent location! but if you drived car, car parking is the problem,although a parking area just opposite to this hotel,but there is charge parking,and charges expensive! but room was very comfortable!you can find everything you need if you live here! Ideal for short stay. Clean and comfortable apartment. Convenient for city sightseeing and restaurants. Ideal parking facilities in multi-storey directly opposite hotel and managed spaces through Astelia Reception with card access. Two nights in Wellington to explore...........easy to walk around the city from this very handy apartment block. But parking is easy too, if you have a car, and we had a watchful eye on our rental from across the street!! 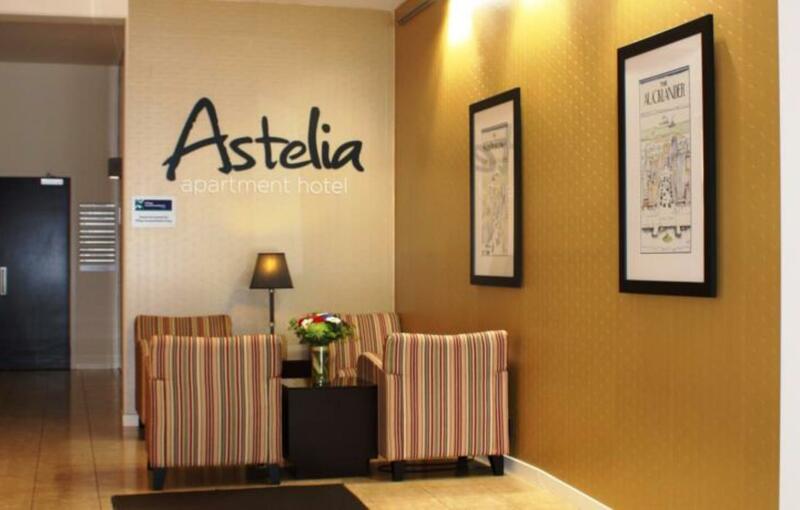 Thank you Astelia..........we would use your services again!! Great price for a room with kitchenette in the middle of Wellington. Location was great being walking distance to all the attractions we wanted to see in Wellington (Museum and Cable Car). The amenities in the room were great to have at the end of our long road trip. Also pleasantly surprised by the number of dining options around the hotel. Only downsides were not having the room serviced every day (even when we agreed to pay for it) and our view on the 6th floor was directly into an office building. Handy to city centre and venue, great shopping nearby and walking distance to some great food and beer locations. Just wish I had thought to plan ahead and put my washing on the night before so I was all good to go in the morning. Really friendly staff and had a very comfortable night's sleep. I like that it has actual opening windows. It was very relaxing and easy to get to all the attractions in Wellington City on foot. The only down side is there windows are not very child friendly as they can't be dead locked. All in all a lovely place to stay. I stayed in a 1 bedroom apartment with my husband and 1 year old daughter for 2 nights. The room facilities were great for our purposes and my daughter was able to sleep in a portacot next to the double bed while we stayed up later in the lounge/kitchen. There is no door on the bedroom but my daughter was exhausted after her few days in Wellington and went straight to sleep each night. Great location, easy access to shops, walking distance to main attractions, very close to public transport. We had a fantastic holiday. The weather turned bad towards the end and it was great to have a large comfortable room with cooking facilities and a dryer. The city location meant everything we wished to see was an easy walk from the hotel. The only bad point was the parking. We were not aware that an extra fee was involved and that spaces were limited. There was a parking garage across the road we used, and it would have been nice if the hotel could offer some sort of deal with the garage there. 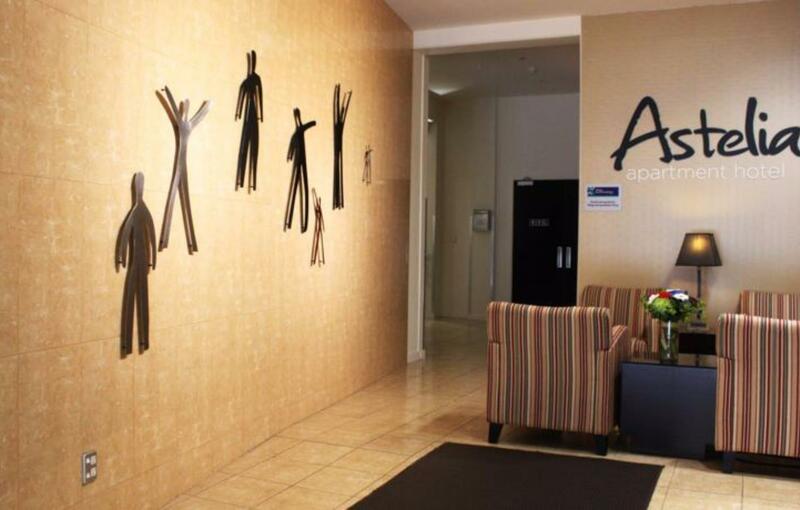 The hotel is in the middle of the city centre and is easy walking distance to lots of places. Our apartment was clean, comfortable, big enough for 2 people for a 3 night stay and had (almost) everything we needed. It could have done with more than one knife though. Staff were friendly and there's really nothing bad to say about this place. Would stay again. Although a little difficult to find, once in checkin was a breeze. The rooms were clean and tidy and well equipped. Even comes with a stereo and decent speakers! The decor of the room was modern and the room was bigger than we thought it would be. Plus, there was a washing machine/dryer in the bathroom. 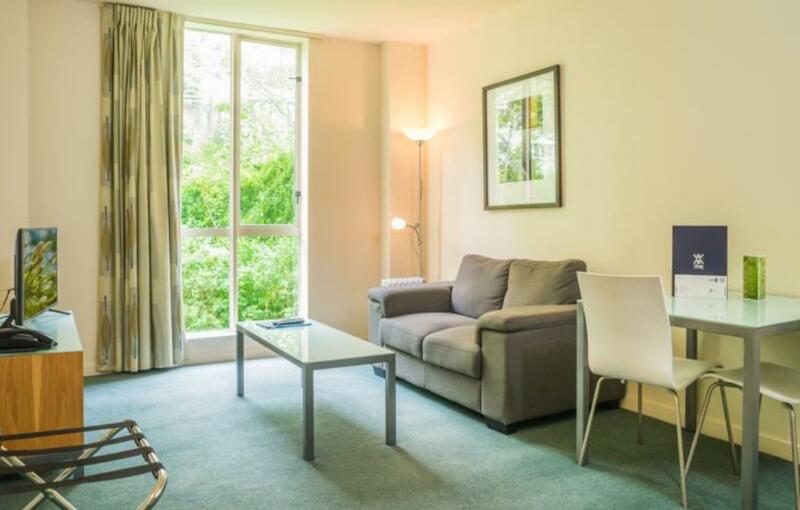 Very central apartments which are ideal for either a tourist to Wellington or the business person. All the things we wanted to go and see and do were within walking and the area also has a great range of public transport should you wish to go further out of CBD Wellington. Lots of great restaurants nearby and a handy metro supermarket just 5mins walk away. My only complaint was that the apartments had just changed name from the Stratford apartments to Astelia Apartments, so the signs had changed and when we first arrived, we thought we were in the wrong place (no one had thought to email customer arriving who had booked under the Stratford name to let them know this). Also the new staff were still getting use to the job and didn't know very much to hand they had to keep looking things up. There is no air con and no fan, so in Summer, even though the windows open, you could find yourself a bit hot if the weather is hot. great hotel! nice and quiet at night... we arrived early so the lovely staff looked after our luggage and called us when the room was ready! excellent service! location was perfect as we were in the city for the Hobbit premiere definitely will be back! i cannot speak highly enough about our stay at the stratford. excellent value. the room was very large, clean and comfortable. cooking facilities and washing machine definately enhanced our stay. the hotel was well maintained. location could not have been better. staff were all helpful and friendly. if i had to nit pick i would suggest the provision of some drawer space for clothing. would i recommend this hotel to a friend? without question. Very nice apartments with all you need - washing machine, dishwasher, etc. great location - right in city center. very nice apartments with all you need - washing machine, dishwasher, fridge, microwave, music center, dvd player, etc. this hotel is very convenient for a walking trip to many local attractions. the hotel is conveniently located with easy access to all forms of transport - train, bus, taxi. many eating places near the hotel so looking for good food is not an issue. air-conditioner in the room did not work and have to change room but the staff from the maintenance guy to the front desk were all very prompt, friendly and helpful. room is very comfortable, a bit small though. i really enjoyed this hotel apartment, it was spotlessly clean and had comfortable beds. well equipped in the kitchen so that eating in was a good option. liked the location too - bars and food places nearby, plus walking in a straight line in one direction i could stroll through dixon street to courtenay place, in another direction it was close to lambton quay. very handy as i didn't know wellington well. the hotel room could be a bit noisy during the night from the chill bar downstairs but it was friday and saturday nights that i stayed there, so to be expected ? i will stay here again.